This is great! It's now at the top of my favourites bar Thanks for the awesome tool! I don't have the option for 626? 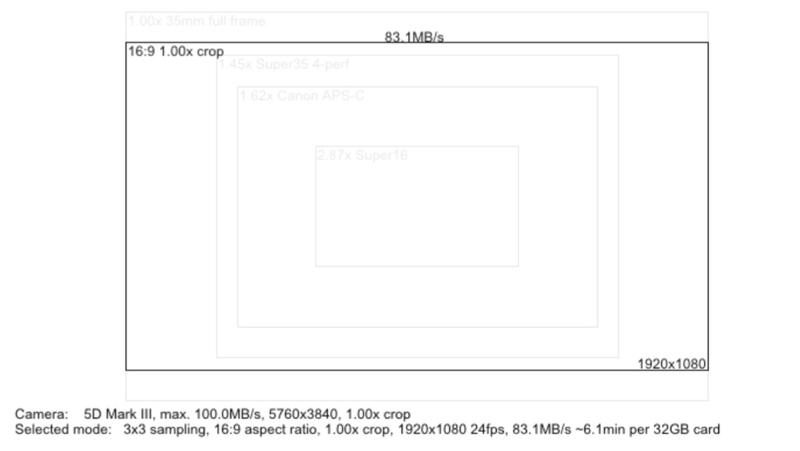 Edit: And btw are people really pushing 100mb/s on their 5d3's? @beauchampy -- speaking of 113 or 123? As well as with latest nightly, correct? 123. Not the latest because of the pink frames issue - currently running a build from August '14. Are different resolutions available in later builds? Yes, the latest version allows more fine grained control over the resolution. And for 100MB/s - maybe someone with a 5d3 can chip in but I assume something around 90MB/s is more realistic as it leaves some bandwidth and ram to cope with hickups/CF slowdowns during writing. I'm new user of ml. Why when I activate "raw video (mlv)" option, everyday I have another expect write speed? It's annoying, because I never know when I can record MLV continously. Please help me. just wondering where to select the 'sampling mode'? any guys can point me that? thanks in advance.